Emergency services were called to the scene of a crash in Ossett earlier today. 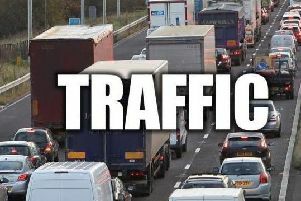 Firefighters, paramedics and police responded to the collision on Dewsbury Road, which was closed to traffic for several hours. West Yorkshire Metro said Arriva had been diverting its 268a service via Church Street and Dale Street in both directions until around 6.40pm. The collision involved a mini bus and a parked black car, which was carrying a learner driver. Police said some of those involved had suffered minor injuries. Recovery vehicles collected the badly damage car and the minibus so that the road could be reopened.